Jimmy Carter says cancer in his brain is gone. 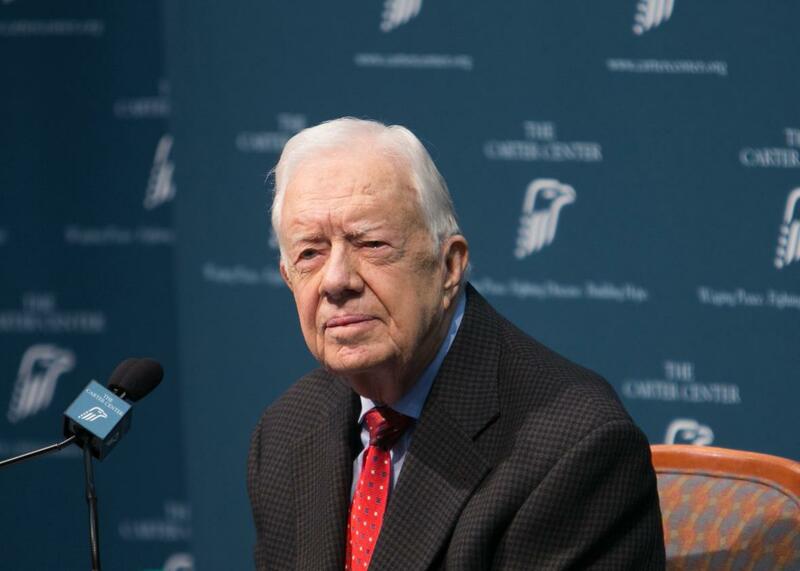 Former President Jimmy Carter discusses his cancer diagnosis during a press conference at the Carter Center on August 20, 2015 in Atlanta, Georgia. In August, Carter said he would begin radiation treatment after doctors found melanoma in his liver and brain.